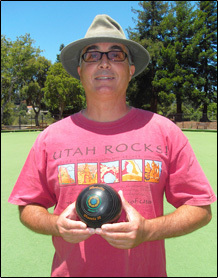 Another Great Week of Bowls Competition! 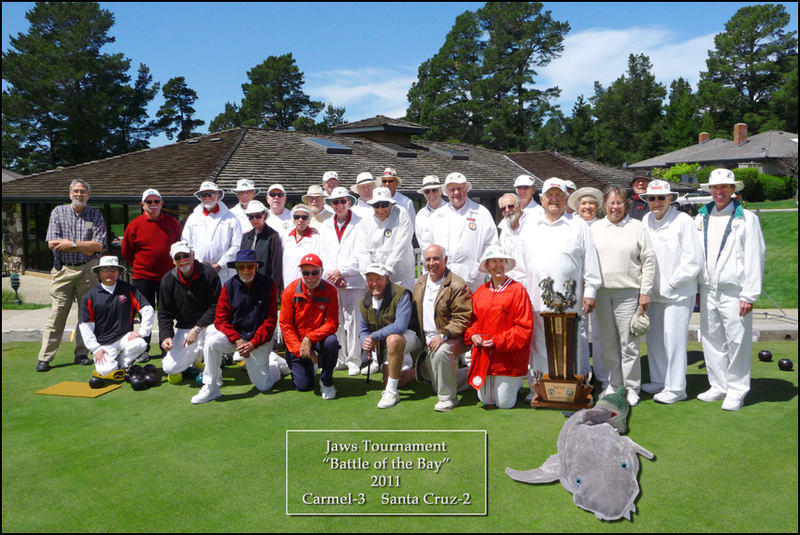 The PBA has once again chosen Santa Cruz for the site of the 2011 United States Pro Bowls Playdowns scheduled for the week of August 5-12. We are looking forward to seeing some of the best bowlers in the USA battle it out for qualifying spots in the United Kingdom Tournaments later this year. Check out more photos and Frank Sousa's article on the Tournaments page. 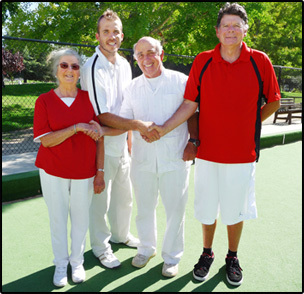 Doreen Evans & Andrew Pappin won the club pairs championship on Friday August 27 beating Jerry Louis & Steven Schoenfeld 16-12 in a 14 end shootout. Congratulations Doreen & Andrew! 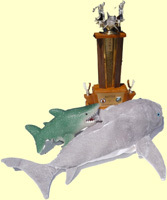 JAWS 2011 -" Battle of the Bay"
Ken Brideau defeated Andrew Pappin in a 22 ends finals game on October 31st to take the singles champion crown for 2010. Congratualations Ken! The Santa Cruz Fives Tournament Was A Huge Success! 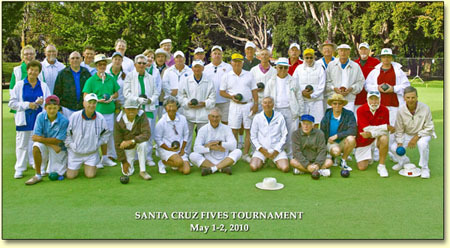 The second annual Santa Cruz Fives tournament was held on May 1&2 and was once again a great event. Thanks to Greg Fyvie in his role as tournament director and for having dreamed this up in the first place. Bob Rible became the man behind the numbers, taking on the daunting task of compiling all the team and individual scores. Once again Christine Palochak put together the great snacks and lunches every day and was there at daybreak to see that it all got done along with helpers Heidi Louis, Coral Singer and Margaret Coonce. And of course president Jerry Louis who did everything else to fill in the gaps.